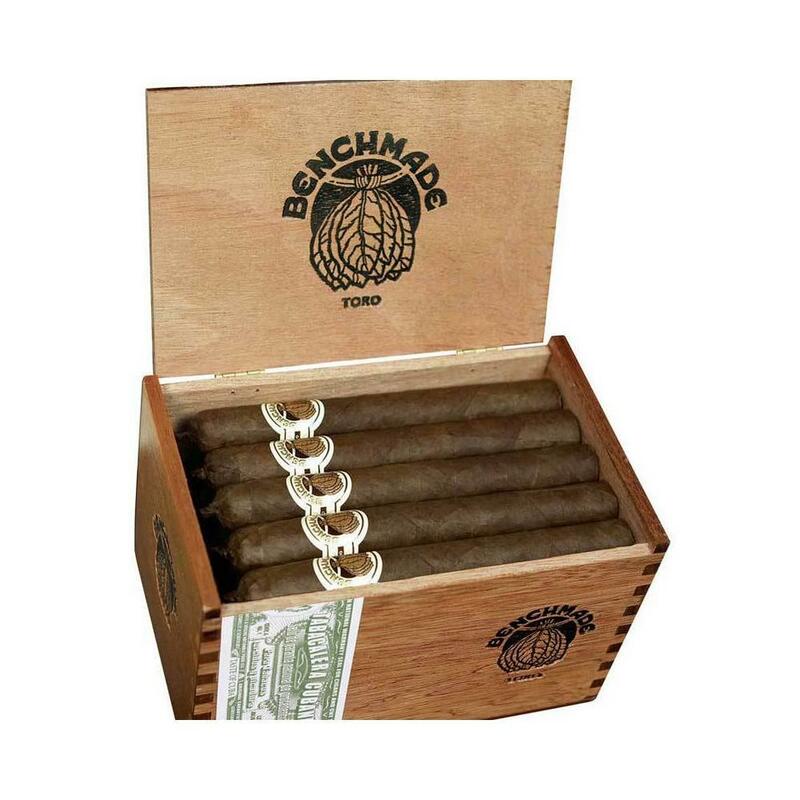 Handmade in Nicaragua by Jose "Pepin" Garcia, Benchmade is a world-class value cigar. Medium-bodied in strength, Benchmade is crafted using 100% top-quality Nicaraguan tobaccos. Each cigar is finished with a handsome pigtail cap. Enticing notes of rich earth and bold cedar accompany daredevil, spicy undertones. Sometimes you want to buy a cigar, but you don’t want to spend a fortune on it. Maybe you’re looking for a cigar that you can smoke while you’re trimming the lawn and that is prone to falling out of your mouth or off of your lawn mower. Maybe you’re buying a cigar for that one annoying friend who always wants a cigar, but seems incapable of finishing a cigar. Maybe you just want a few cigars to have around for people who are not cigar aficionados, but who still might like to try one every now and again. Whatever the case, the Benchmade Robusto from Ashton is a cigar that will deliver spice at an affordable price. Made for Ashton by Don Pepin Garcia, the Benchmade line is made at the My Father factory in Esteli, Nicaragua. Made using nothing more or less than Nicaraguan tobacco, aged and cared for appropriately, the cigar is set up from early on to be a spicy smoke. To give it a bit of flair, every cigar is finished off with a pigtail cap, making it look a bit better to the eye. When lit, though, the cigar proves its worth and its value, even for a cigar in the ‘value priced’ range. The cigar emits tones of earth and cedar, along with a spicy flavor that cannot be missed. If you like some spice in your cigar, or if you just like to have a few nice cigars for friends that you won’t lament not smoking yourself, the Benchmade Robusto is a great cigar, and a fine smoke for a gathering of old friends who may be about to play a game of poker, for example.